The Iranian Regime’s state-run television has aired the so-called confession of an Iranian-Swedish academic Ahmad Reza Djalali who has been sentenced to death for spying on Iran for a foreign government. 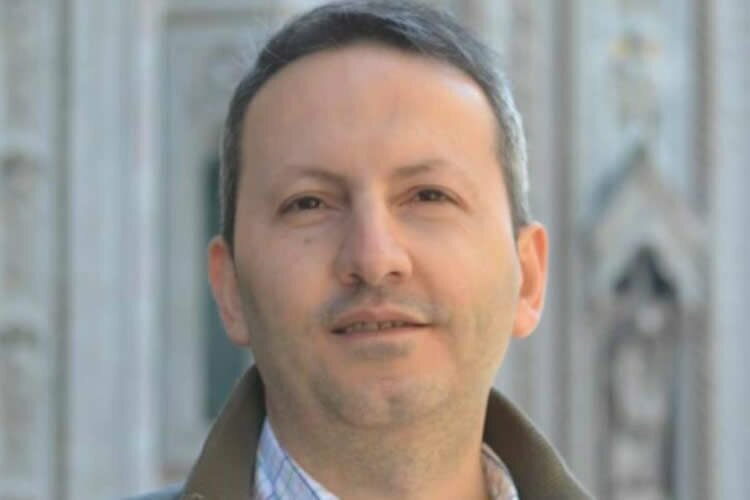 In the December 17 report, Ahmadreza Djalali, a researcher at Stockholm’s Karolinska Institute, said that he has supplied information about Iranian nuclear scientists- who were later assassinated- to a foreign intelligence service. Ahmad Reza Djalali, 46, said that a man called Thomas approached him about a job offer when Ahmad Reza Djalali was doing research in an unnamed European country. He was then recruited into that country’s foreign intelligence service and told that he would receive citizenship in that country. This ‘confession’ raises a lot more questions than it answers. Ahmad Reza Djalali, who was arrested in April 2016 before being convicted of espionage, has always denied the charges so why confess now? And why- if the confession were true- would Djalali not name the country? And why would he need citizenship in another European country when he already lived and worked in Sweden and holds permanent Swedish residency? According to the verdict handed down by the Iranian Regime, Ahmad Reza Djalali worked with the Israeli government as part of an Israeli attempt to sabotage Iran’s nuclear-energy program. The man narrating the broadcast said that Ahmad Reza Djalali gathered information for Israel’s Mossad on physics scientists Masoud Ali Mohammadi and nuclear scientist Majid Shariari, before they were assassinated in 2010. He claims that Ahmad Reza Djalali met with Mossad agents over 50 times and received 2,000 especially a time. However, Israel is not in Europe so this contradicts Djalali’s ‘confession’. Ahmad Reza Djalali also said that he had worked in the Iranian Defense Ministry and the foreign intelligence officers threatened to expose him if he did not continue to cooperate. The Iranian Regime has a habit of coercing confessions from its prisoners and it would not be surprising if that had happened again. Iran’s Supreme Court upheld the death sentence against Djalali earlier this month; a decision criticised as “not only a shocking assault on the right to a fair trial but was also in utter disregard for Ahmadreza Djalali’s right to life” by human rights group Amnesty International. When Ahmad Reza Djalali was originally sentenced in October, the Swedish Foreign Minister, Margot Wallstrom, criticised the death penalty and raised the issue with Iranian representatives in Stockholm and Tehran. Many others have said that this follows a pattern by the Iranian Regime of detaining dual nationals and expatriates without due process.